Prized for centuries, this spellbinding crystal has captured the hearts of some of the world’s greatest icons, and is thought to have been one of Princess Diana’s favourite crystals! Synonymous with truth, wisdom and loyalty, it suggests you may find yourself questioning a friend, colleague or family member’s loyalty this week. Protect yourself from their bad vibes and negative energy by keeping a Sapphire in your home, or wearing a piece of Sapphire jewellery each day. Known as a stone of confidence, empowerment and positivity, this beautiful crystal suggests you may find yourself feeling very drawn to a new health or wellbeing regime this week. Insightful TV programmes - and eye-opening conversations with friends and loved ones - may leave you feeling very empowered, and may find yourself feeling very positive about the future too. Keep your energy sky high by keeping an Orange Calcite with you each day. Bewitching the hearts of everyone - from singers and actresses, to healers and princesses - for centuries, this mesmerising crystal suggests you may need to spend some quality time with a friend or loved one who’s been feeling a little neglected lately. Long overdue catch ups with friends and family members - and days at home with the people you love - may leave you feeling very thankful, and love could blossom between two people around you too! Like the playful animal it’s named after - which is renowned for its faithfulness and loyalty - this stunning crystal suggests you could find yourself feeling slightly frustrated with your work life this week. Unreasonable demands from colleagues and bosses - and mundane tasks - may leave you feeling very bored and restless, and there could be a disagreement between you and a colleague too. Prevent their negativity from draining your energy by keeping a Dalmatian Jasper nearby. Bewitching the world with its magical properties for centuries, this captivating crystal suggests you may find yourself feeling slightly anxious about the future this week. Honest conversations with friends and family members - and random messages from the universe and through dreams - may leave you feeling slightly confused, and you may find yourself feeling very torn between two people around you too. Leave your worries behind by keeping a Hematite by your side. Symbolising love and healing, this enchanting crystal suggests you may find yourself feeling slightly emotional this week. Painful memories from the past - and cold or distant behaviour from friends and loved ones - may leave you feeling very vulnerable, and you could find yourself feeling slightly paranoid about the people around you too. Calm your heart and mind - and leave your worries behind - by keeping a Lepidolite in your home, or holding one by your heart. Synonymous with the sea and water, this mesmerising crystal suggests you may find yourself feeling very frustrated with a friend or loved one’s constant whining this week! Attention-seeking behaviour from friends, colleagues and family members may leave you feeling very irritable, and you may need to distance yourself from a very envious person around you too. Protect your mind, body and soul by keeping an Aquamarine in your home or work place, or keeping one nearby. Highly revered for its powerful properties for centuries, this stunning crystal suggests you may need to distance yourself from a very critical individual this week. Hurtful comments from ‘friends’ and family members may leave you feeling very tearful, and there could be a misunderstanding between you and a colleague too. Fill your heart with hope and serenity - and protect yourself from any bad vibes or negativity - by keeping a Jet crystal in your home. 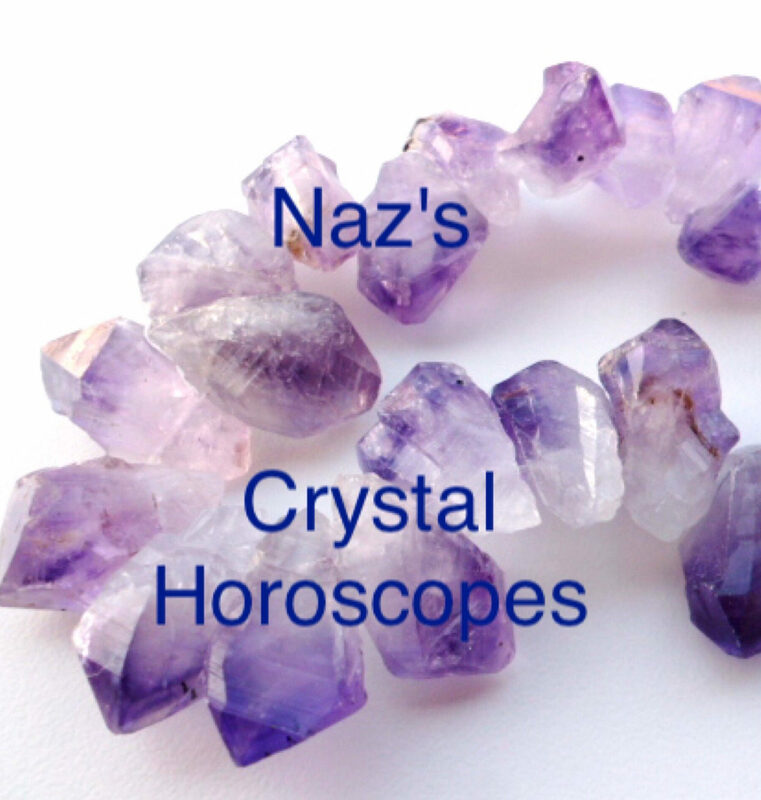 Symbolising strength, healing and protection, this stunning crystal suggests you may need to give a friend or loved one some much-needed - but difficult - home truths this week. Honest conversations with friends, colleagues and family members may leave you feeling very relieved, and you may need to reach out to someone you love and trust for their help and advice too. Protect yourself and your loved ones by keeping a Black Tourmaline nearby. Known as a stone of love, trust and friendship, this beautiful crystal suggests there could be a disagreement between you and a friend this week. Silly arguments with others - and misunderstandings with loved ones - may leave you feeling very frustrated, and you could find yourself feeling very unsociable too. Comfort your tired mind by keeping a Jade crystal in your home or work place, or simply holding one by your heart each night. Symbolising love, healing and forgiveness, this enchanting crystal suggests you may find yourself feeling very wary of someone around you - or a loved one - this week. Overly friendly behaviour from new colleagues, family friends and new acquaintances may leave you feeling slightly unsettled, and you may find yourself feeling very guilty about something from the past too. Leave your worries behind by keeping a Rhodonite under your pillow. Enchanting the world with its spellbinding properties for centuries, this mesmerising crystal suggests you could find yourself feeling slightly suffocated by a friend, partner or family member this week. Clingy behaviour from friends and loved ones may leave you feeling very drained, and you may need to stand your ground with a very intimidating person around you too. Nurture your inner-strength by keeping a Carnelian in your home, or holding one by your heart.